I want to congratulate you on an amazing job with implementing Predictive Analytics. As the presentations during this conference have demonstrated, a combination of P.A. software and your insightful analysis has helped companies build smarter supply chains, institute predictive assembly-line maintenance, and improve production efficiency. Yes, you’ve done a great job – especially considering how little we actually know about manufacturing! There are some big gaps in the data you have to work with. That’s no one’s fault: it’s just that, until recently, it has been impossible to really know much about many of the key elements of manufacturing. Because it has been a given that we couldn’t learn about these things, we’ve artificially constrained our horizons, and have only been able to infer understanding about critical issues, rather than having hard data. Yes, Predictive Analytics helps make improved predictions about the future, but wouldn’t we really prefer to base decisions on comprehensive, hard data? The true impact of Predictive Analytics has been reduced, because the simple reality is that you can’t interpret data that you can’t get! We don’t know when that normal looking assembly-line equipment is suffering from metal fatigue and will soon fail, so we are forced to instead schedule maintenance based on inferences such as mean time to failure. Sometimes that maintenance actually isn’t needed because an individual machine proves to be more durable than the average. Sometimes, however, maintenance is scheduled too late, and a serious or even catastrophic breakdown occurs. We don’t actually know if a new product is defective until it has completed the assembly line and is then randomly selected for testing. Wouldn’t it be better if we could identify every defective product during assembly, so they could be immediately removed from the assembly line so further time and money wouldn’t be applied to a bad product? While just-in-time techniques have been a great advance, we still don’t know precisely when we will need parts, so supply chain integration is still less than optimal. And, when you depend on suppliers half-a-world away, how accurately can you really schedule deliveries? Think of how little we know. We don’t really know when we need to resupply retailers. In most cases, it’s their responsibility to notify us when to restock. Or perhaps there’s some local phenomenon, such as a heat wave or blizzard, that drives sales beyond what’s projected from historical data. Wouldn’t it be more profitable, and lead to happier customers for our products, if we were able to take responsibility for that role, and make certain the items were supplied before they’re sold out? It’s time for us to take manufacturing beyond all of these limitations. It’s time to enter an unprecedented era of manufacturing, what some have called the Fourth Industrial Revolution, but which I prefer to call the Era of Precision Manufacturing, because we will be able to share real-time information about all aspects of not only manufacturing, but all aspects of our companies’ businesses, to eliminate guestimates and bring about unprecedented coordination and accuracy in every aspect of our operations. What will make this revolution possible? The Internet of Things: the combination of a variety of rapidly-evolving technologies that will allow something that was never possible before: real-time data sharing by everything — and everyone — needing it. Just think of what that will mean — we’ll explore those implications in a few minutes! The Internet of Things was first discussed in the 1990s, and it probably won’t be a full-fledged reality until 2020 or so, but it is already beginning to have a dramatic impact on business. So what is the Internet of Things, and how will it affect manufacturing — and increase the accuracy of Predictive Analytics? The bottom line is that the IoT yields real real-time data about everything, shared in real time by everything — and everyone — needing it. Sensors, which are increasingly tiny, as you can see here; need less power to run; — this one will run for years on the built-in solar array and others are powered just by vibrations — and whose prices are plummeting. IPv6 addresses, so individual “things,” like computers, will have their own Internet addresses, and can be addressed individually. We were already running out of addresses with the IPv4 system even before we started giving addresses to things. Now, there’s no problem of ever running out of addresses: it’s been said that if we gave an IPv6 address to every atom on the face of the earth, we’d have enough left over to give addresses to all the atoms on another 100+ earths! ‘Nuff said! The Internet of Things will generate so much data that it would be impossible to store and process it without development of the cloud. Much IoT data will be processed on “the edge,” i.e., at the point where it is collected, and will never be passed on from there, but volume of the significant data that is aggregated will be unprecedented, and only the cloud could accommodate it. And, last but not least, a robust Internet of Things requires big data analysis and management solutions such as Product Lifecycle Management, Management Execution Systems … and, Predictive Analytics! So what will manufacturing be like when the Internet of Things is fully developed? It will be truly integrated for the first time. The ability for everyone and everything needing access to real-time data to share it simultaneously will mean an end to loose ends: everything from raw materials to the supply chain to the factory to the board room to the distribution system to the customer will be integrated, with constant two-way data flow throughout. I can’t say it enough: the Internet of Things will mean we will be able to share real-time information from all sorts of machinery and products that were formerly inscrutable — and that will change everything. No more post-production random testing of products: sensors built into the products will alert you instantly if they’re defective, so they can be pulled from the assembly line right away. Every product that leaves the factory will work. That assembly line will be made up of smart machines, with digital intelligence, that monitor their performance constantly. Processes that were manually operated in the past can be fully automated, with one machine triggering and regulating another one. Oh, and if they’re developing problems, those machines will report that as well, so that they can be maintained quickly, before a major problem develops. We’ll look back and laugh at today’s supposedly “just-in-time” supply chain. Instead, suppliers will have real-time access to assembly-line data, so that replenishment will be automatic – and accurate. Managers — and line workers, if they’re granted access to the data (more about that later!) — will make better decisions, because they will be acting on real-time data. Of course, they will still have access to historical data for important perspective, but they can now balance that with empirical evidence about what’s happening right now on the assembly line. New, digital production technologies such as nanotech, 3-D printing or femto-second lasers will integrate perfectly with the new data sharing capabilities, being either self-regulating or manipulated with unprecedented precision accuracy. None of these benefits are speculative: companies that have already adopted Internet of Things technology, and, equally important, Internet of Things thinking, are already realizing them today. It’s hard to think of a company that’s more of an exemplar of the first Industrial Revolution than GE: they actually still make locomotives. There’s also no better example of the Internet of Things in manufacturing than this GE plant in Schenectady, NY. It is bringing manufacturing jobs back to the US, in this case to manufacture state-of-the-art Durathon batteries, which provide back-up power for remote cell towers around the world. Each battery includes sensors, so plant personnel can monitor their condition and remove any defective ones from the assembly line. Overall, there are 10,000 sensors on the assembly line, and a manager walks around the facility with an iPad, getting real-time data on its operations. Using this data, GE has been able to optimize production efficiency. After the batteries leave the plant, the sensors are used to monitor the batteries’ operating conditions. Or, Consider Siemens’ factory of the future, in Amberg, Germany. Both a functioning factory and a showplace for the company’s technology, it processes 1.6 billion components from 250 suppliers — and is 99% accurate, with only 15 defects per million. As reported by Industry Week, the factory’s output could only be possible because of the Internet of Things. It is a marvel of mass customization, mixing and matching those 1.6 billion components into more than 50,000 annual product variations of the company’s Simatic controls – themselves critical manufacturing automation tools. Incidentally, I suspect that when the Internet of Things is fully implemented, it may mean a return to localized production, and a reduction in migration of jobs overseas. After all, if your parts supplier can now know exactly what you need and exactly when you need it, does it really make sense to have to wait weeks for those parts to come from overseas, when a nearby supplier could have them there really just in time? If you are receiving real-time feedback from retailers — and often even from the products themselves once they are in the field, couldn’t you turn this knowledge into mass customization of products that would truly delight customers? Perhaps another example will illustrate the potential of precision manufacturing in the overall integration of the entire production and consumption cycle. What could be more “dumb,” in technology terms, than a conventional vending machine? It just sits there and drops products into customers’ hands — until it runs out and irritates them. But what can you do: the deliveries are determined on the basis of past patterns. Predictive Analytics can help, but it’s still based just on historical data, not real-time demand. SAP has created a prototype that transforms the dumb vending machine into a smart hub that is at the heart of the truly integrated Internet of Things enterprise. Based on its HANA real-time data platform, the machine allows customers (if they opt in) to identify themselves via their smartphones, connect to friends, and receive individualized promotions and offers. Equally important, remember that Internet of Things data can be shared on a real-time basis with anyone who needs it, so the same data that serves the marketing aspect can also be used to alert technicians to service needs, and can be used to literally re-route trucks in mid-course if a given machine needs immediate refilling. One set of IoT data, multiple uses — the essence of the truly integrated company. Cisco predicts that, between 2013 and 2022, $14.4 trillion of value (net profit) will be“up for grabs” for enterprises globally because of the IoT. Ericsson predicts there will be 50 billion connected devices by 2020 (Cisco, incidentally, says that only 4% of “things” are connected at present). And McKinsey estimates the potential economic impact of the Internet of Things to be $2.7 trillion to $6.2 trillion per year by 2025. But realizing all of these benefits won’t be automatic. Fully realizing Precision Manufacturing will also require major management reforms. 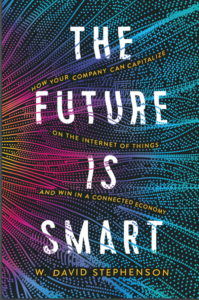 Perhaps most important is that, while sharing IoT data in real time is technically feasible, it goes against the grain of years of management practice, in which data ownership was seen as a zero-sum game, in which you could gain competitive advantage from withholding data from your suppliers and/or customers, and in which managers routinely controlled access to data, filtering it before they passed it on to lower-level workers. In many respects, I see this legacy as the most serious obstacle to the Internet of Things. Similarly, for many years data has been captured in a variety of functional silos within companies, leading to sequential decision making. Now, for the first time, all of those groups can have access to the data at the same time. Will managers realize the benefits of bringing multiple perspectives to bear simultaneously, or will old habits win out? Finally, there’s a major question that threatens all Internet of Things initiatives: the possibility of data breeches that threaten privacy and security. In the past, many factory-based data exchanges used proprietary protocols, which isolated them both from the outside world and from other parts of the enterprise. Now that factory-floor data is increasingly IP-based, the chances increase that valuable data may be pirated. Companies must make protection of Internet of Things data a priority if they hope to share its benefits. I recently wrote an interactive i-introduction to the IoT for C-level executives, for SAP. In it, I emphasized that while it may be tempting to wait to launch IoT initiatives until the system is more fully realized, the time is right to begin. That’s because companies that introduce the IoT now are already able to realize significant benefits, optimizing their present policies and procedures. Adding sensors to legacy machinery where possible, to begin gathering real-time data. This won’t be as valuable as when machinery is re-designed specifically to include sensors, but it’s a start. Secondly, if you haven’t already adopted big data tools and cloud storage, do so now, because the IoT will result in unprecedented volumes of data — begin now so you will have the tools in place. And finally, we come back to Predictive Analytics. I hope you have seen in this presentation that today’s Predictive Analytics only begins to scratch the surface of what’s possible, because we actually harvest so little of the possible data from manufacturing and other aspects of the enterprise that will be possible when the IoT is fully developed. However, having PA in place now will give you the necessary tools and expertise that you can scale up, as, more and more, the world of things becomes known and quantifiable. I have no doubt that the Internet of Things will one day transform every aspect of business, from the factory floor to the vending machine. But don’t wait until the Era of Precision Manufacturing is a total reality. You can, and must, begin today to make the transaction — and Predictive Analytics will only increase in value as you progress.